We have an extensive portfolio of evaluations of programs focused on after-school services, youth workforce development, youth leadership, and civic activism and youth organizing. Almost all these programs serve low-income youth of color, youth at risk of school dropout, or other vulnerable populations (e.g. LGBTQQ youth). SPR has conducted multi-level evaluations of major national youth initiatives, captured best practices and lessons learned from innovative youth programs around the country, provided technical assistance to youth programs around the use of evaluation, and developed comprehensive frameworks to measure outcomes for youth participants and their communities. 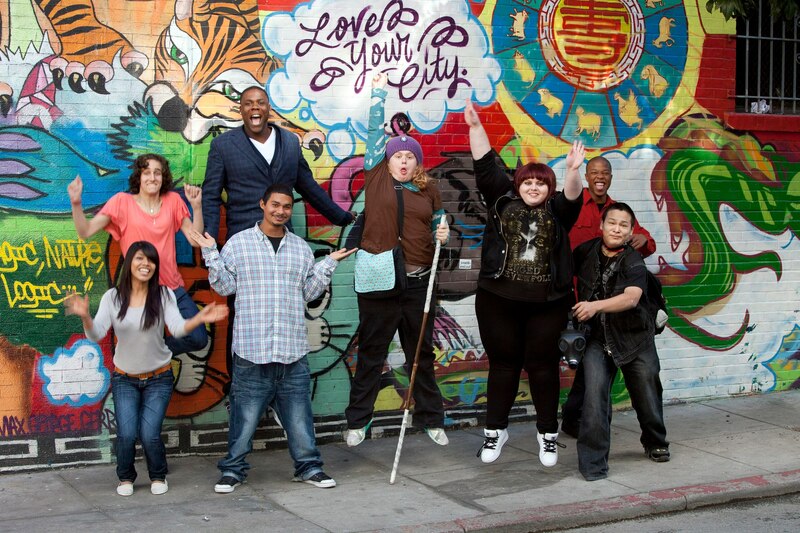 SPR assessed the performance, quality, and outcomes of San Francisco’s Department of Children, Youth, and Their Families (DCYF) specialized teen and youth empowerment programs from April 2012 to January 2015. Through its funding for specialized teen, youth-led organizing, and youth-led philanthropy programing, DCYF seeks to ensure that teenagers are engaged productively in afterschool activities and that they have opportunities to play a prominent and valued role within their schools, organizations, and in the broader San Francisco community. DCYF’s teen programs are designed to support youth leadership, to provide choices that allow young people to pursue and develop personal interests (e.g., arts, community engagement), and to help youth to achieve concrete goals. Over the three-year evaluation, SPR worked closely with DCYF’s program officers and evaluation department to develop a framework for evaluation, revise evaluation instruments, develop individual program summaries of evaluation results, and produce a series of cross-program summaries and results. SPR analyzed over two thousand youth surveys and reviewed administrative data for over six thousand program participants each year. In addition to quantitative data, SPR conducted in-depth site visits to programs, interviews with program leaders, and focus groups with targeted subgroups of youth (LGBTQ and English learners). Throughout the project, SPR advised DCYF on how to strengthen its evaluation systems and programs. Evaluation of Our Children, Our Families Council in San Francisco. SPR is conducting a process study of the first year of the Our Children, Our Families (OCOF) Project sponsored by Community Initiatives. OCOF is an effort to improve access to services for all youth and families in San Francisco by promoting interagency collaboration. SPR aims to provide OCOF with real-time formative implementation feedback about shared visions, council membership, structure and governance, and implementation process. This project is a continuation of a previous study that yielded the following report. Evaluation of Oakland Boys and Men of Color Initiative. SPR staff members provided process evaluation and facilitation for various efforts undertaken by the Oakland-Alameda County Alliance for Boys and Men of Color (BMoC), particularly Oakland Systems Leader and Community Partner Tables. The evaluation component documented and assessed the joint efforts of TCE, Urban Strategies Council, systems leaders, and community partners to provide a model for others to learn from in terms of building public-private partnerships focused on improving the overall health, wellness, and life outcomes of boys and men of color. This project culminated in the following report. Evaluation of Re-Generation Pipeline Initiative. SPR evaluated an initiative of the Funders Collaborative for Youth Organizing (FCYO) that aimed to build career pathways for youth in social justice fields by providing academic support, building bridges to college, and encouraging youth to pursue social justice careers after completing college. The evaluation captured grantees’ best practices and the lessons they learned in implementing their programs. Civic Activism Among Marginalized Youth. This project, funded by the Center for Information and Research on Civic Learning and Engagement (CIRCLE), examined youth organizing and identity support as key strategies for engaging marginalized young people in civic life. We conducted a rigorous and in-depth survey analysis, comparing 12 civic activism organizations with 12 “traditional” youth development organizations.